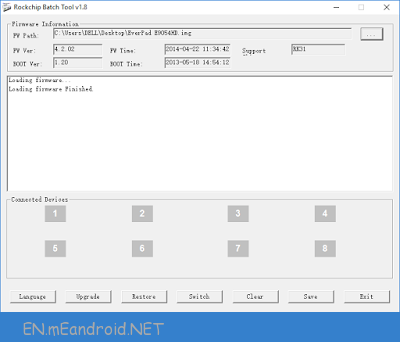 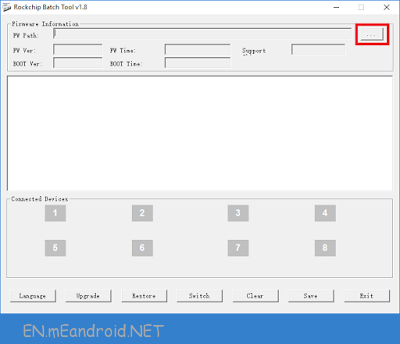 These are the instructions to Flash Stock Rom on Android using RockChip Batch Tool. 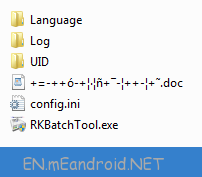 Step 6: Now, Turn Off your Android and tablets. 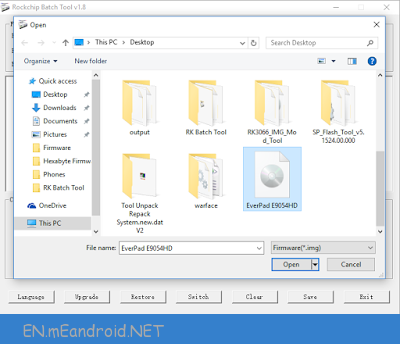 Step 7: Now, Press and Hold Volume UP Key on your Android and connect it to the computer using the USB cable. 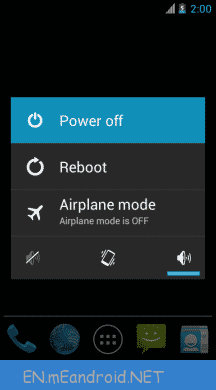 Step 8: Do not release the Volume UP Key on your Android until Icon 1 turns Green in Color. 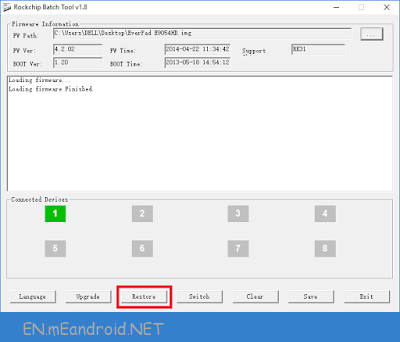 Step 9: Once your Android is successfully added to the computer, Click on the Restore Button to begin the Flashing process. 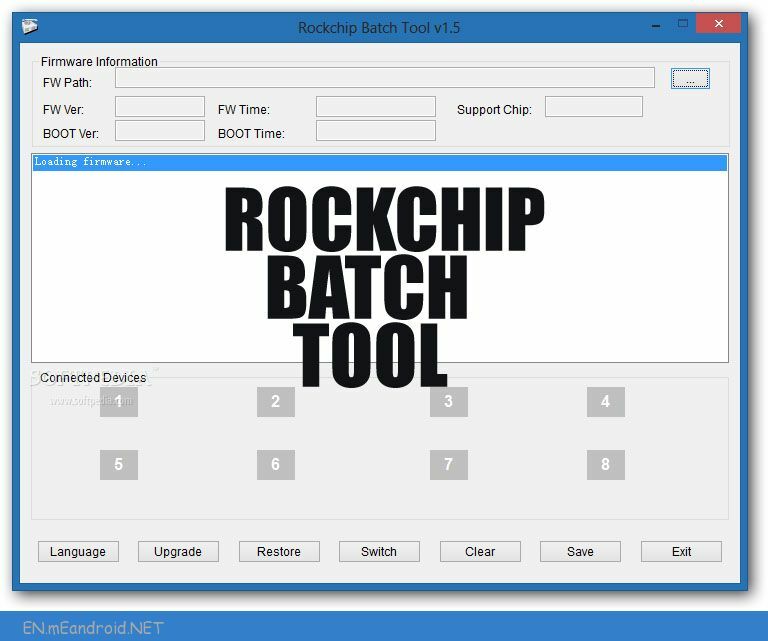 Step 10: Now, RockChip Batch Tool will Flash the Firmware on your Android (flashing usually takes 4-6 minutes to complete). 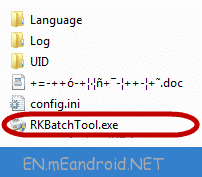 Congratulations, you are now expert of flashing firmware on Android using RockChip Tool.